On a day of light news in the cryptocurrency space, the biggest headline is the launch of a new Japanese cryptocurrency. The e-commerce company Rakuten announced plans to launch "Rakuten Coin" yesterday. 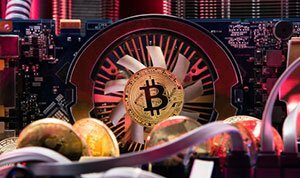 "The announcement by Rakuten is another example of positive developments in crypto in 2018, suggesting the large sell-off in Bitcoin and others at the start of the year was an overshoot to the downside," said Fundstrat Global Advisors co-founder Thomas Lee. Lee used the news to reiterate his bullish call that Bitcoin will surpass its record high of roughly $20,000 in July 2018. Meanwhile, markets are still digesting the bold statement by Litecoin co-founder Charlie Lee from over the weekend. Lee predicts that his cryptocurrency could surpass the market capitalization of Bitcoin Cash in the year ahead. The news comes at a time that one of the largest cryptocurrency exchanges in the Middle East, called BitOasis, added support for Litecoin. On Wednesday, the market capitalization of the global cryptocurrency sector hit $452.76 billion. The best performers from the top 50 largest cryptocurrencies by market capitalization included DigixDAO (up 13.12%), TRON (up 8.58%), NEM (up 4.32%), BitShares (up 1.92%), and EOS (up 0.10%). The worst performers from the top 100 largest cryptocurrencies by market capitalization included Populous (down -12.73%), Electroneum (down -10.28%), Siacoin (down -9.76%), Waltonchain (down -8.12%), Veritaseum (down -7.75%), Ardor (down -7.20%), and Gas (down -7.11%). Is Cardano Heading to $50? With little happening in the industry right now, we are still weighing some of the boldest predictions for 2018. Yesterday, we discussed a prediction by Skye Dunworth, founder of Bitcoin investing platform Spendher. She has a Cardano price prediction of $50. From today's Cardano price of $0.31, that's a potential gain of 16,029%. "The scalability and interoperability of Cardano has huge potential. If they can get moving on wider-spread implementation, we will see some substantial if not exponential upward movement this year," Dunworth told Finder.com. Finally, Starbucks Corp. (Nasdaq: SBUX) has suggested that it may look to the blockchain as a way to handle customer payments in the future. During an interview with Fox Business Network on Tuesday, Chair Howard Schultz reiterated some of his previous statements from the company's January earnings call. "I think blockchain technology is probably the rails in which an integrated app at Starbucks will be sitting on top of," he said.